The EU Graduates Fund employs Christian staff to equip, resource, and partner with students in the Sydney University Evangelical Union. The EU Graduates Fund is all about flooding God’s church with Christian leaders. The EU Graduates Fund exists to flood God’s church with lay and vocation Christian leaders who are Biblically and theologically mature, servant hearted, and innovative ministry strategists. 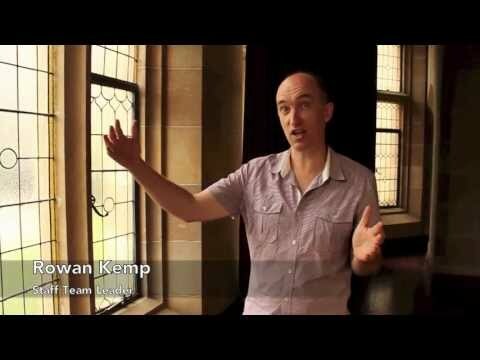 We do this in partnership with the Sydney University Evangelical Union, training staff and students to bring the good news that Jesus is Lord into the lives of others, whether in Sydney, Australia, or beyond. The Sydney University Evangelical Union (EU) is a group of 900 students who seek to proclaim Jesus as Lord to the University of Sydney. They hold weekly public Bible talks, small group Bible studies, several different conferences, run training courses for Christian students, and many other activities. The EU Graduates Fund works in partnership with these students by employing staff to equip, train, teach, resource, and pastor key students, and in the process raising up godly Christian leaders who are able to teach, pastor, and lead others under Christ. Experienced Senior Staff work alongside committed ministry apprentices who are part of our Howard Guinness Project. Together we minister God’s Word amongst students in the Evangelical Union at Sydney Uni. The EU Graduates Fund has always depended entirely on the donations and giving of generous Christian people. God has always provided! We believe that God works in the world as each person plays their part in serving and giving, under the Lord Jesus Christ and we would appreciate your prayer and financial support. Please pray that God would pour out his Spirit and bless the work on the campus at Sydney University. We desire supporters who can offer the gift of regular spiritual support and partner with us in seeing Jesus proclaimed as Lord on campus and Christians matured to be leaders in God's church.